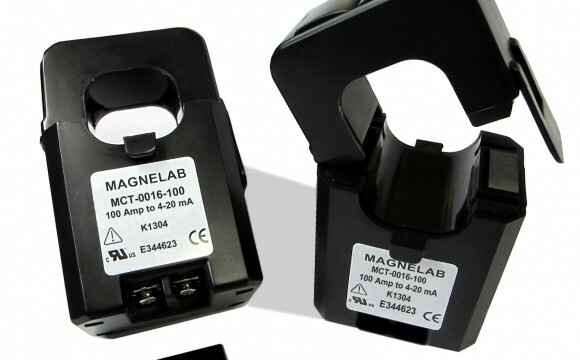 The Magnelab MCT-0016 was previously sold under the name MAG-J16M420. It is a split core current sensor with a 16 mm opening and is able to transform 10 to 100 Amps of AC current input into an output of 4 to 20 mA DC current. A current transformer with 4-20 ma output like this one is perfect for electrical wiring installations that are already installed. This is because it comes with a self locking mechanism that allows it to simply be snapped around the existing conductor easily and safely. The MCT-0016 current sensor has a rated input starting at 10 Amp and going up to 100 Amp. This gives it an output of standard 4 to 20 mA DC. The accuracy of this particular device is 2%, and it has a ripple within just 2% of the output voltage as well. The maximum load resistance of the MCT-0016 is 600 Ohms at P/S of 24V. The maximum allowable current on the MCT-0016 is 120% continuous and up to 150 percent for a duration of 1 minute. For those who need a bigger current capacity for the input, the MCT-0024 AC current sensor may be more suitable as this particular device has an input of up to 250 Amp but with the same out range of 40 to 20 mA DC. Additionally, the MCT-0016 has a frequency range of between 50 and 60 Hz. It comes with two M3 screw terminals. The installation category of the device is CAT III. 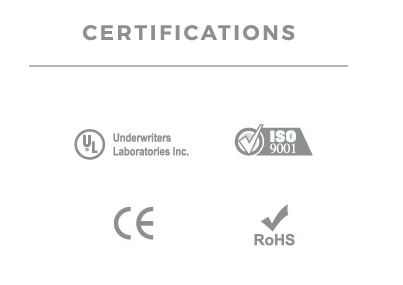 It is also fully UL recognized, as well being compliant with both RoHS and CE. As the company believes in the quality of its product, it also comes with a full 10 year warranty.